The dentate gyrus (DG) plays a pivotal role in the functional and anatomical organization of the hippocampus and is involved in learning and memory formation. 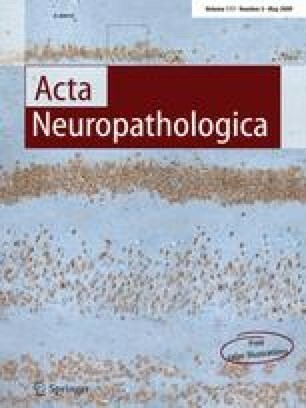 However, the impact of structural DG abnormalities, i.e., granule cell dispersion (GCD), for hippocampal seizure susceptibility and its association with distinct lesion patterns in epileptic disorders, such as mesial temporal sclerosis (MTS) remains enigmatic and a large spectrum of pathological changes has been recognized. Here, we propose a clinico-pathological classification of DG pathology based on the examination of 96 surgically resected hippocampal specimens obtained from patients with chronic temporal lobe epilepsy (TLE). We observed three different histological patterns. (1) A normal granule cell layer was identified in 11 patients (no-GCP; 18.7%). (2) Substantial granule cell loss was evident in 36 patients (referred to as granule cell pathology (GCP) Type 1; 37.5%). (3) Architectural abnormalities were observed in 49 specimens, including one or more of the following features: granule cell dispersion, ectopic neurons or clusters of neurons in the molecular layer, or bi-lamination (GCP Type 2; 51%). Cell loss was always encountered in this latter cohort. Seventy-eight patients of our present series suffered from MTS (81.3%). Intriguingly, all MTS patients displayed a compromised DG, 31 (40%) with significant cell loss (Type 1) and 47 (60%) with GCD (Type 2). In 18 patients without MTS (18.7%), seven displayed focally restricted DG abnormalities, either cell loss (n = 5) or GCD (n = 2). Clinical histories revealed a significant association between DG pathology patterns and higher age at epilepsy surgery (p = 0.008), longer epilepsy duration (p = 0.004), but also with learning dysfunction (p < 0.05). There was no correlation with the extent of pyramidal cell loss in adjacent hippocampal segments nor with postsurgical seizure relief. The association with long-term seizure histories and cognitive dysfunction is remarkable and may point to a compromised regenerative capacity of the DG in this cohort of TLE patients. We kindly acknowledge the technical assistance of Silke Sterner and Birte Rings. The work is supported by the German research council (DFG Bl 421/1-2; SFB TR3 A1 & C6), the European Community (LSH-CT-2006-037315 EPICURE), and Elan-Fond of the Faculty of Medicine (University of Erlangen-Nuremberg). The Neuropathological Reference Center for Epilepsy Surgery is a consortium of colleagues from the following German epilepsy centers: Berlin: H.J. Meencke, M. Merschhemke, N.T. Lehmann. Bielefeld: V. Hans, A. Ebner, H·W. Pannek, F. Woermann. Bonn: A. Becker, P. Niehusmann, C. Elger, C. G. Bien, C. Helmstaedter, J. Schramm, H. Clusmann, H. Urbach. Erlangen: I. Blümcke, M. Hildebrandt, R. Buslei, R. Coras, H. Stefan, B. Kasper, E. Pauli, M. Buchfelder, D. Weigel, A. Dörfler, T. Engelhorn. Freiburg/Kehl-Kork: B. Steinhoff, A. Schulze-Bonhage, S. Fauser, J. Zentner, C. Scheiwe. Greifswald: S. Vogelgesang. Marburg: F. Rosenow, H. Hamer, S. Knake. Munich: P.A. Winkler, S. Noachtar. Munster: W. Paulus. Radeberg: K. Grohme, T. Mayer. Stuttgart: P. Winkler. Ulm: H. Lerche, Y. Wagner. Vogtareuth: H. Holthausen, T. Pieper.